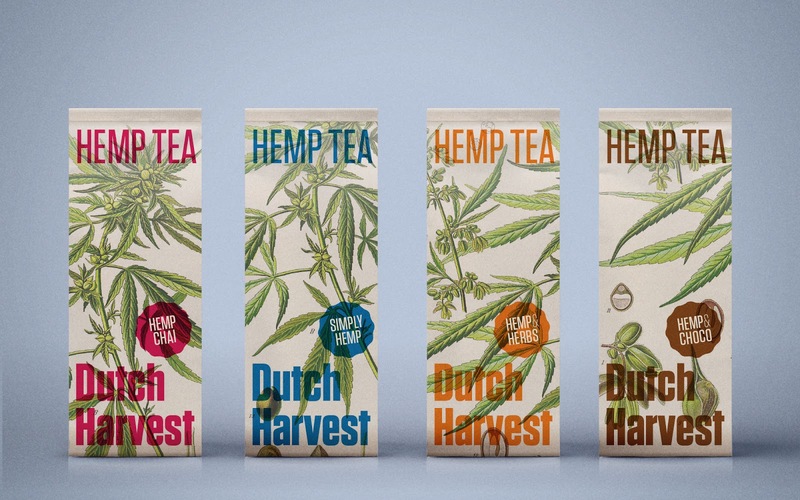 A tea from Amsterdam... must be hemp tea of course. But if you take a closer look you'll find that it's actually mind blowing in a different way. This is a seriously beautiful tea in 4 melanges and made 100% sustainably. Even the window in the packs is made from biodegradable cellulose-based plastic. 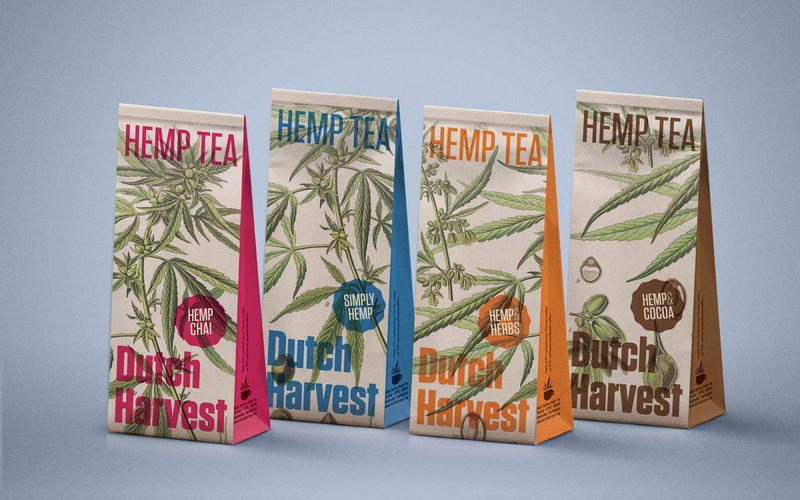 The paper pouch is made from agricultural waste. The bags are packed by disabled people in sheltered employment. The design needed to reflect the eco-cred of the product without becoming too weirdy-beardy. 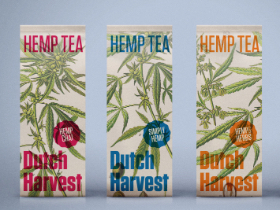 We opted for a bold eco-vibe with a special Dutch Harvest character. It jumps from the (boring) tea shelves this one. 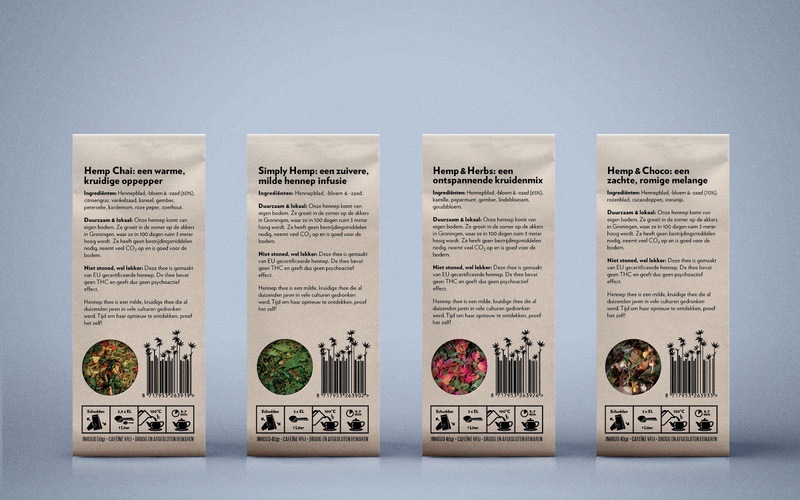 The care that has been taken to manufacture a truly sustainable / socially responsible pack for a beautiful eco-product. The design avoids the too weirdy-beardy look of most eco products. 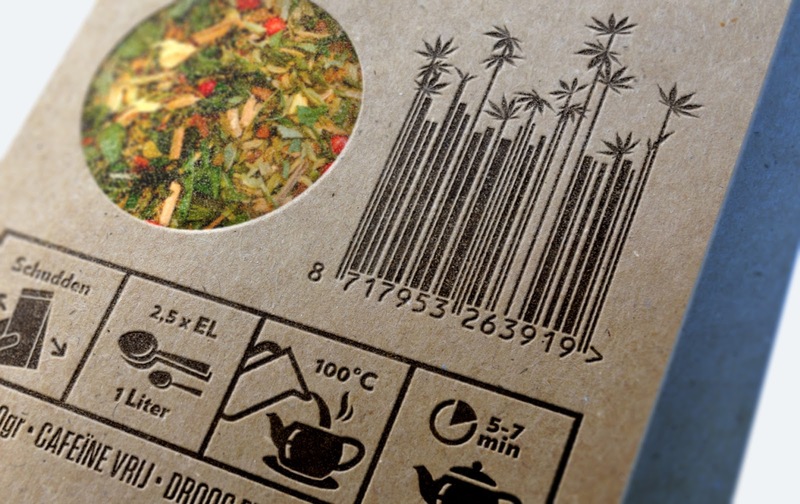 The packs jump out from the otherwise bland packaging design we find on the tea shelves of supermarkets.